The entrepreneurial team behind the STEMotivation Station: Marah Casey, Detroit Public Schools teacher at U-M graduate student; Tom Jubert, second grade teacher and U-M graduate student; fifth grader Kyle; Alex Keyser, a U-M senior in industrial engineering; Carolyn Sullivan, U-M sophomore. It’s a bus that brings a traveling carnival of educational delights. It camps out at a school for an entire week, providing interactive and hands-on activities focused on STEM educational outcomes, along with certified teachers to lead students in the activities that are tailored to Common Core standards and grade level. It’s called the STEMotivation Station, and while it’s not a reality yet, it could be. It’s an idea created by a team of University of Michigan students in an entrepreneurship class whose students worked with Thurston students and families to come up with unique products to improve STEM education. The U-M students, Thurston students and parents worked in teams, conducting dozens of interviews and developing a pitch for a prototype. 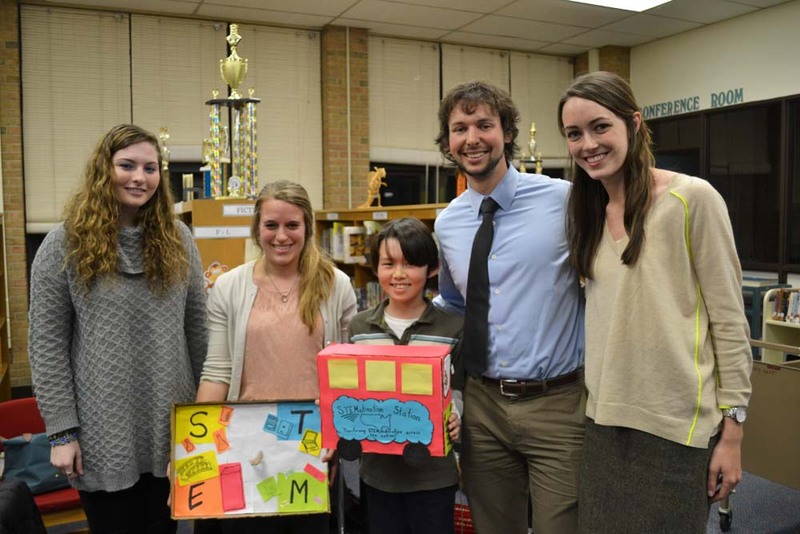 The seven teams presented their prototype ideas at Thurston the evening of Feb. 24. The teams’ ideas followed a few themes: connecting businesses in STEM fields with educators and students, helping teachers come up with engaging and interactive STEM lessons, and meeting students’ individual learning needs and interests. Each team conducted dozens of interviews with business members, teachers, elementary students and parents to learn about the difficulties in delivering STEM education. The pilot project was not without its challenges. It started three weeks late due to a series of snow days this semester, leaving the groups with just one month to research, conduct interviews, dream up a winning idea and craft a persuasive pitch. The teams’ ideas and presentations were well-received by Thurston Principal Natasha York and AAPS Executive Director of Elementary Education Dawn Linden. “To see a third grader mixed with teachers and engineering students and their parents and coming up with ideas together –– there are not often many times where we can expose students to these types of opportunities, and that’s huge,” York said. 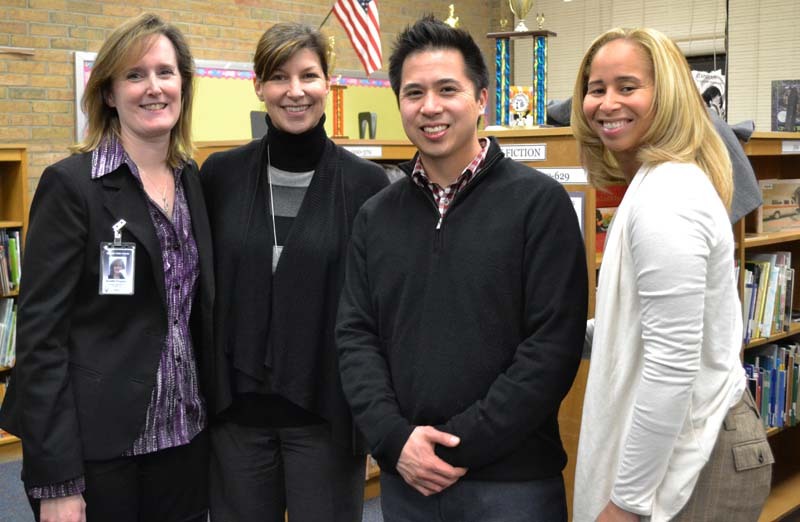 AAPS Business Partnerships and Volunteer Coordinator Annette Ferguson, AAPS Executive Director of Elementary Education Dawn Linden, U-M lecturer Moses Lee, Thurston Principal Natasha York.